The Spanish word for banquet is, as you might have suspected, banquete. From birthday parties to corporate events, Olympia residents come to our Mexican restaurant for banquets to be remembered. 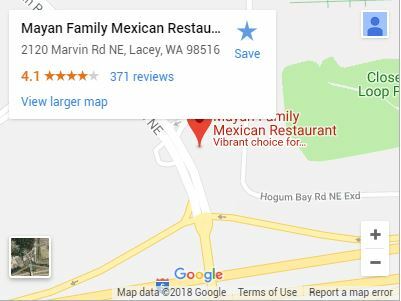 If you’re looking for amazing food, a lively atmosphere, and first-class service, Mayan Family Mexican Restaurant is the perfect venue for your next feast. Our flavors offer a true taste of Mexico and our portions guarantee no one ever leaves hungry. The dedicated banquet room is enough to seat even the largest groups and, if it’s your kind of party, provides the room to get up and dance, or make a toast. 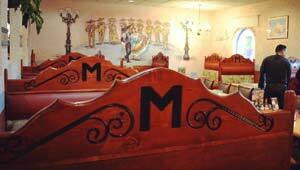 Our banquet menu consists of the same high-quality food our patrons always expect from our family. Our enchiladas come to the table smothered in our signature salsas and some say the sizzle of our fajitas can be heard throughout Olympia. For items not being served at your banquet, we can always serve anything from our menu a la carte. We also serve amazing “north-of-the-border“ food with as much care as our signature dishes and other familial recipes that span generations. No matter how adventurous or play-it-safe your party wants to be, we can tailor any banquet to meet the needs of our guests. We even serve up delicious vegetarian options for anyone who doesn’t feel like meat. It’s not just our food that’s authentic, it’s also the service. We want your banquet to be as special as possible. Our staff makes every effort to treat everyone in your party with the same warmth we’d show a family member, along with a genuine commitment to making your experience the best it can be. 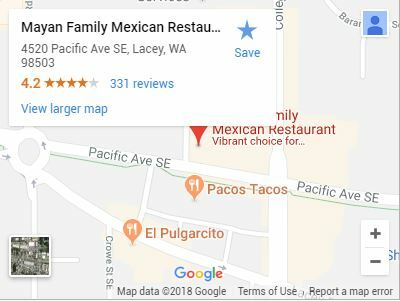 Mayan Family Mexican Restaurant promises an environment where all our guests will be comfortable, taken care of, and left feeling full after a delicious meal. In most cases, our prices are affordable and deliver value by the plate. 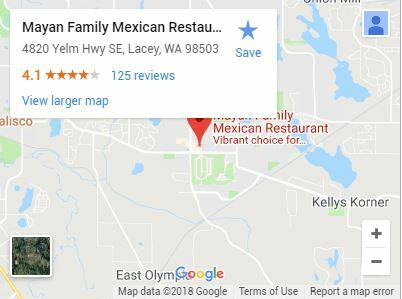 If you’re looking for a banquet option that’s something a little different in Olympia, give a call to Mayan Family Mexican Restaurant today to get set up. © 2019 Mayan Family Mexican Restaurant. All Rights Reserved.